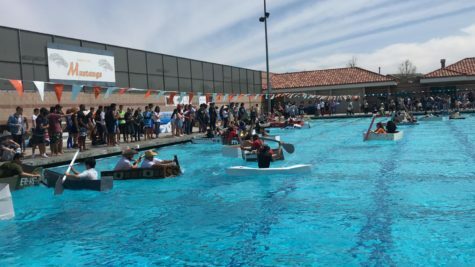 Pictured above, the physics boat race. 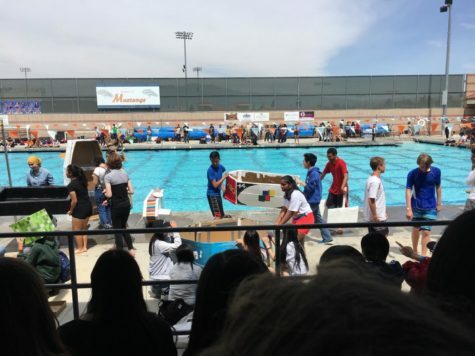 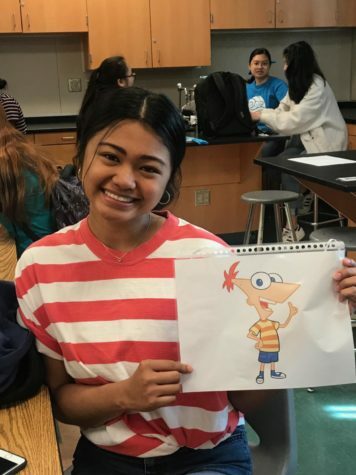 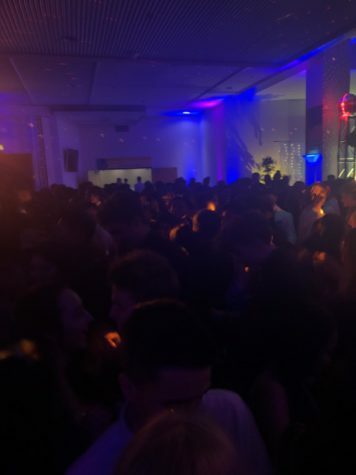 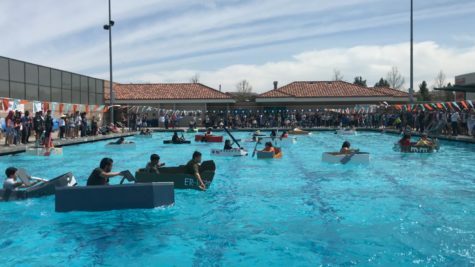 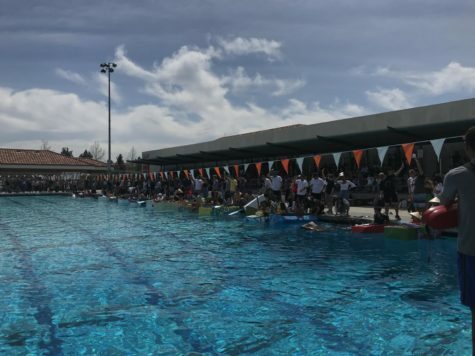 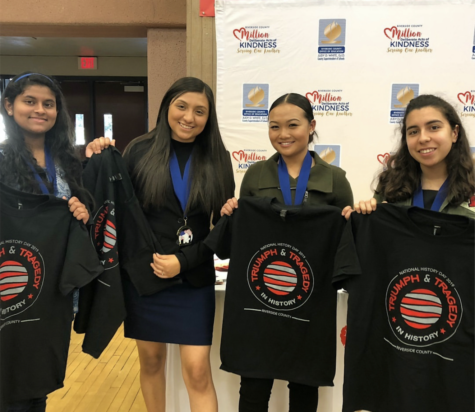 On Thursday, April 10, the Eleanor Roosevelt Advance Placement (AP) Physics 1, AP Physics-Calculus, and College Prep (CP) Physics classes participated in the Rachel Black Memorial Boat Regatta. 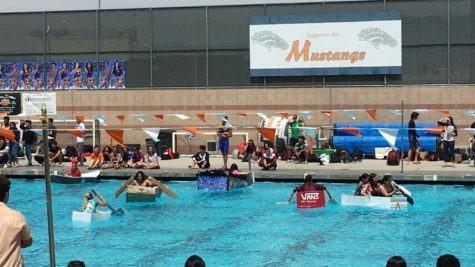 AP Physics-Calculus raced in by “Walking on Water” using various differing methods to walk across the pool. 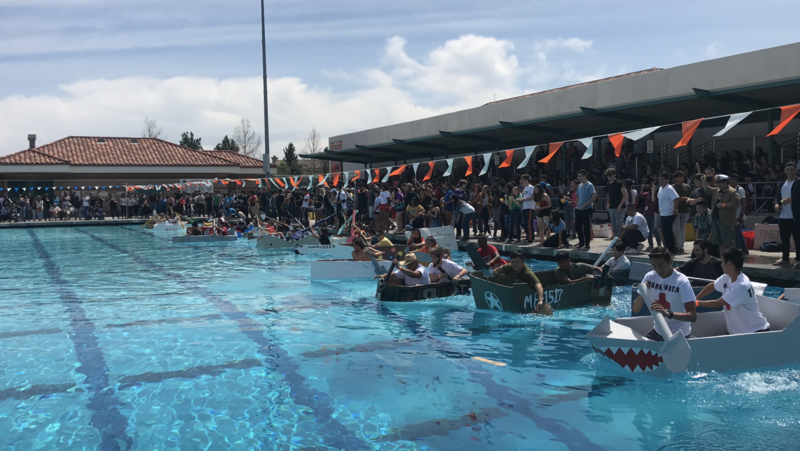 The AP Physics 1 and CP Physics classes raced in various heats with about 30 boats in each heat. 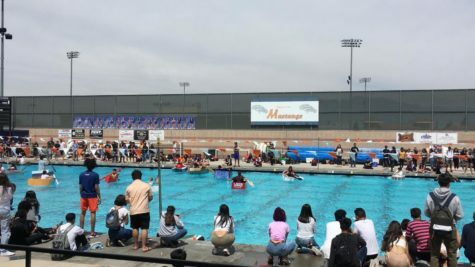 The bleachers were filled with differing science, math, and STEM students during both first and second lunch. 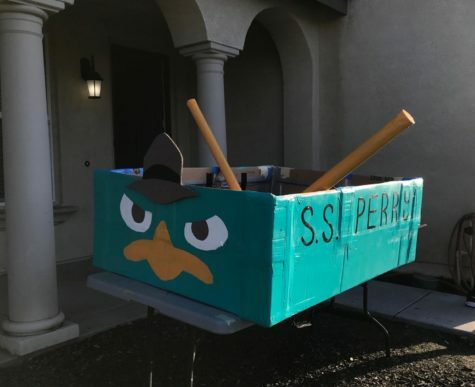 Pictured above, a physics boat. 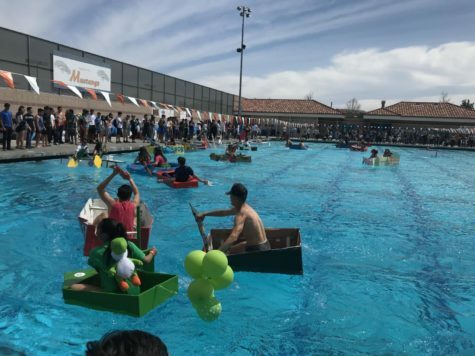 Pictured above, Jeannine Meija, a boat race participant.